Alexander Dawson Henderson Jr. was a man of great compassion. Throughout his lifetime, he demonstrated a constant concern for the welfare of young children. He worked on projects in education, medicine, sports, business, and politics. 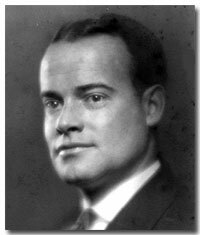 February 16, 1895 Alexander D. Henderson was born in Brooklyn, New York, the son of Alexander Dawson Henderson Sr. and Ella Margaret Brown. Source: So Long It's Been Good To Know You, pg. 3, Jerry Henderson. June 14, 1900 The 1900 U.S. Census lists the Henderson family living on 174 Pulaski Street in Brooklyn, New York: Alex D. (36), Ella (35), Alexander Jr. (5), and servant Mary Kiley (23). Source: Brooklyn Ward 21, Kings, New York; Roll T623_1058; Page: 16A; Enumeration District: 336. 1905 His family traveled to Suffern, New York as summer visitors and boarders in a hotel downtown, which was on the property now owned by the Avon Products. Source: Mary's Family Connections, pg. 85. His grandmother, Angelina A. Henderson, died in Brooklyn, New York. Source: New York Death certificate No. 10534. 1909 His father built a Georgian type house on the hill near the Nyack Turnpike in New York. Mr. Henderson spent most of his early life in Suffern. Source: Mary's Family Connections, pg. 85. A postcard was made of their Suffern house looking at the residence from the bottom of the driveway. The printing at the top of the postcard reads: "Residence of Mr. A. D. Henderson, Suffern, N.Y." Source: Suffern Free Library, Suffern, New York; postcard; col.; 3 x 5 in. (7.7 x 12.7 cm.).. April 19, 1910 The 1910 U.S. Census lists the Henderson family living in Brooklyn, New York: Alexander Sr. (45), Ella B. (42) Alexander Jr. (15), and Girard B. (5). Source: US Census for New York, KINGS, 29-WD BROOKLYN, Series: T624, Roll: 982, Part: 2, Page: 188A. November 16, 1913 Cadet Alexander Henderson was listed as playing Singles at the fall tennis tournament at the New York Military Academy in Cornwall, N.Y. against a fellow cadet. Source: The Sun newspaper. 1914 When Alex was 19, the family took a two-month vacation-business trip to buy "essential oils from the french." The family visited the oil factories that made the perfume and see beautiful fields of flowers in France. Source: So Long It's Been Good To Know You, pg. 3, Jerry Henderson. Alexander attended the New York Military Academy, an engineering preparatory school at Cornwall, which is on the west shore of the Hudson River, four miles north of West Point, and fifty-two miles from New York City. He was Captain on the Basketball team and a Lieutenant of Company B. Source: New York Military Academy Cornwall-on-Hudson, Catalouge 1914-1915. 1915 The 1915 "Shrapnel" Year Book included the graduating class of the New York Military Academy. Click here to see Alexander's Year Book page. Source: 1915 Shrapnel Year Book, New York. 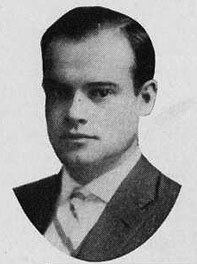 1916 Alexander Dawson Henderson, Jr. attended Dartmouth College, but quit midyear to join the U. S. Army during World War I. He is listed as being in the ZETA Chapter at Dartmouth College in Hanover, New Hampshire. Source: The Twelfth General Catalogue of the Psi Upsilon Fraternity, Page 334, May 1917. 1916 Mr. Henderson met Mary Barnes Anthony at a costume party given by Mrs. Elmer Snow. Source: Mary's Family Connections, pg. 93. 1916 His father invested $25,000 in the California Perfume Company and acquires one-quarter of the entire stock of Avon Products. 1917-1918 Mr. Henderson volunteered for the U. S. Army during World War I. Because of his military experience while at the New York Military Academy, he became a Lieutenant in the Calvary, stationed at Fort Dix, New Jersey. At age 22, Alexander D. Henderson Jr. of Rockland, New York signed a registration card at the Student Officer Training Camp in the Ramapo, Rockland, New York precinct. Source: World War 1 Selective Service System Draft Registration Cards, 1917-1918. July 5, 1918 During the War, he wrote a letter to his mother describing his command and his desire to purchase an engagement ring for Mary Anthony. Source: Letter written from Co. D, Hughes High School, Cincinnati, Ohio. 1919 Mr. Henderson took a position with the California Perfume Company. Source: Bagpiper newspaper, August 1964. February 11, 1920 The 1920 U.S. Census lists Alexander D. Henderson (55), Ella B. (52), Alexander D. Henderson Jr. (25) and James Wynne (50) their butler living on South Monsey Road in Suffern, N.Y. Source: 1920 Census: Ramapo, Rockland, New York; Roll: T625_1259; Page: 8A; Enumeration District: 232; Image: 241. February 14, 1920 Mr. Henderson married Mary Barnes Anthony at her parents Ridgewood home in New Jersey. 1920 His father, Alexander D. Henderson Sr. built the couple a house in Suffern, New York across the road from their own house. 1921 Alexander D. Henderson, Jr. became assistant buyer of raw materials for the manufacture of Avon's products. Source: Avon Outlook July 10th to 29th, 1939. Maurice Henderson, Mary Ann, Charles, and Angie Hendrickson would come to his father's house in Suffern for Thanksgiving. Source: "Mary's Family Connections," 1979, pg. 90. He and his father were driven in his father's car with his chauffeur after an early breakfast, first to the California Perfume Company plant or laboratory in Suffern. Then, they were both driven to the train station to take the train to the CPC New York offices. April 17, 1922 Mary-Ella Henderson was born at 6:45 A.M. at the Good Samaritan Hospital in Suffern, New York. June 10, 1922 The New York & Suffern Express was incorporated for $10,000; W. V. A. Clar, A. D. Henderson Jr., L. Riley. (Attorney, M. Lexow, Suffern) Source: ProQuest Historical Newspapers - New York Times. March 26, 1924 Alexander D. Henderson III was born at the Fifth Avenue Hospital in New York City, New York at 11:45 A.M. Source: Birth Certificate. 1924 Alex D. Henderson Jr., was listed as Manager of the Purchasing Dept. New York, N. Y. Source: The Story of Perfumery and the CPC, 1924. January 25, 1925 His father, Alexander D. Henderson Sr. died in Suffern, New York after a very short illness. He was mourned by his family and associates. Source: NY Death Certificate #5375 and the Suffern newspaper. 1925 By 1925 Mr. Henderson had become Vice-president and a director of CPC. He would hold that post until 1951. Source: Bagpiper newspaper, August 1964. 1925 Alexander Henderson is listed as head of house, living in Ramapo, Rockland, New York, age 30, in the New York State Census. Source: New York, State Census, 1925, index, FamilySearch. 1926 The California Perfume Co., celebrates its fortieth year of business. A brochure was printed about that and listed A. D. Henderson Jr., as Vice President. Source: A Short CPC History, 1926. 1927 Mr. Henderson was Vice-President in charge of Purchases. He would buy the ingredients from which everything in the CPC line was made. "As such, he is, of course, a most important factor in the maintaining the high quality and low prices of the products you sell." Source: Introducing You To The CPC booklet. 1929-1932 The family moved into a large two-story home in Tallman, New York. They lived in Tallman for four years. They had a chauffeur, cook, and an upstairs maid. His polo pony, Ginger, was kept in the barn. The 5-acre property had an apple orchard. His mother-in-law Anthony had a lovely cottage on the property (behind the orchard). April 3, 1930 The 1930 U.S. Census lists Alexander D. Henderson (35), Nonny (30), Mary Ella (7), Alexander (5) and Laura J Anthony (61 - Mother-in-law), living on Cherry Lane in Ramapo, Rockland, New York. Source: Year: 1930; Census Place: Ramapo, Rockland, New York; Roll: 1641; Page: 1A; Enumeration District: 38; Image: 12.0. 1930 When the depression hit in 1930, Mr. McConnell cancelled the dividends on the Common stock of the California Perfume Company, and their income was cut in half. Source: Mary's Family Connections, pg. 97. December 31, 1930 A. D. Henderson was listed as being on the Board of Directors in the Avon Outlook December 1930 issue. Source: Avon Outlook. 1931 Alexander D. Henderson, Jr. started acting in an advisory capacity on all matters of purchasing and merchandising. Source: Avon Outlook July 10th to 29th, 1939. June 1931 Alexander D. Henderson, Vice President, was listed as being on the Board of Directors in the Avon Outlook June 1931 issue. Source: Avon Outlook. December 31, 1931 A. D. Henderson was listed as being on the Board of Directors in the Avon Outlook December 1931 issue. Source: Avon Outlook. 1933 The family spent winters in Palm Beach, Florida. See photo of Mr. Henderson and Alex on the beach. 1934 Mary and Mr. Henderson were separated. August 2, 1934 Mr. Henderson (39) and Lucy (23) were passengers on the Southern Cross departing from Hamilton, Bermuda to New York City. Source: New York Passenger Lists, 1820-1957; Microfilm serial: T715; Microfilm roll: T715_5522; Line: 1. 1935 Mary and Mr. Henderson were divorced in Las Vegas. December 17, 1935 The Alexander Dawson, Inc. was incorporated and the certificate of incorporation was filed with the Secretary of State of Trenton New Jersey. Mrs. Ella B. Henderson transferred securities she held to the company in exchange for shares in company stock. Source: ADI Certificate of Incorporation. December 18, 1935 The first meeting between the board members of the Alexander Dawson, Inc. was held at 111 John Street, Manhattan, New York. Three directors were elected: Ella B. Henderson, Alexander D. Henderson, and Girard B. Henderson. Source: ADI Certificate of Incorporation. 1936 Alex married Lucia Maria Ernst, whom he met at Avon. July 7, 1936 Part of the "Avon Family", Mr. Alexander D. Henderson, Jr. was Vice President in charge of planning. In the Avon Outlook, described "he has inherited much of the financial ability of his father plus a wide knowledge of markets, both of selling and buying in the cosmetic field, and of finished and raw materials. He is interested in the designing of new packages, and the redesigning of old ones. He works very closely with the Laboratory." Source: Avon Outlook July 7th to 27th, 1936. December 28, 1936 The Avon Outlook Supplement listed A. D. Henderson as Vice President in the Holiday Greetings from the Board of Directors and Officers of the CPC. Source: The 1936 Avon Outlook. 1939 The California Perfume Company became Avon Products Inc. in 1939 in tribute to David McConnell's favorite playwright, William Shakespeare and Stratford on Avon. July 10, 1939 Alexander D. Henderson, Jr. was listed as Vice President in charge of merchandising in the Avon Outlook. He worked on selling and buying in the cosmetic field and was interested in designing new packaging. He worked closely with the Laboratory in Suffern. Source: Avon Outlook July 10th to 29th, 1939. 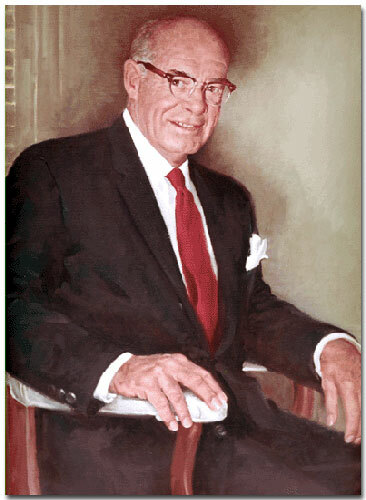 December 23, 1939 A. D. Henderson Jr., Vice President, was listed under Greetings The House of Avon. Source The Avon Outlook. January 17, 1940 Mr. Henderson's mother, Mrs. Ella Brown Henderson died suddenly, at her home, Nyack Turnpike, Suffern, New York. Funeral services were held at her home Jan. 19, 1940, at 2 PM. Source: ProQuest Historical Newspapers The New York Times, pg. 23. March 1, 1940 A special meeting of the board of directors for Alexander Dawson Inc. was held at room 2707, 111 John Street, Borough of Manhattan, New York City. At this meeting it was announced, “With deep sorrow, the death of Mrs. Ella B. Henderson on January 17, 1940, was recorded.” The board voted that Alexander D. Henderson was elected President of the Corporation and Girard B. Henderson was elected as Vice President and Treasurer. Source: 1940 ADI Board Minutes. April 17, 1940 Alex (45) and Lucy (29) Henderson were listed in the 1940 US Census living in Pelham, Westchester, New York. He and Lucy were renting at the Fairway Apartments, on Wynnewood Road, Pelham Manor, New York. He also appeared in the local newspapers for golf tournaments he was in from 1935 – 1940, all saying he was living in Pelham, New York. Source: 1940 Census, New York, Westchester, Pelham, New York, ED 60-297, page 26. November 1, 1941 His parents home in Suffern Park caught fire as workmen were engaged in tearing it down. The Suffern and Tallman fire departments saved the partly demolished building from complete destruction. Source: The Rockland County Journal News. December 7, 1941 The attack on Pearl Harbor prompted the US to declare war on Japan. 1941 Mr. Henderson, with his wife Lucy, joined his brother, Girard B. Henderson at Lady's Island. Jerry wanted to help the war effort by patrolling the Carolina cost for U-boats and growing crops on his 600 acre farm in Beaufort, South Carolina. December 31, 1941 A. D. Henderson was listed as a Director in the 1941 annual report for Avon Allied Products, Inc. Source: Avon Allied Products, Inc Annual Report. Alexander Dawson Henderson is listed in the U.S. World War II Draft Registration Card. His residence is listed as Riversville Road, Fairfield, Connecticut. Lucy Henderson is listed on his draft card. His business address was 400 Madison Ave. N.Y., N.Y. Source: Ancestry.com. U.S. World War II Draft Registration Cards, 1942; United States, Selective Service System. Selective Service Registration Cards, World War II: Fourth Registration. National Archives and Records Administration Branch locations: National Archives and Records Administration Region Branches. January 14, 1943 The annual meeting of stockholders for Alexander Dawson Inc. was held at room 2707, 111 John Street, New York City. The minutes note a motion that was made and seconded to elect four directors for one year: A. D. Henderson, G. B. Henderson, Lucy B. Henderson, and Theodora Henderson. In addition the minutes stated the amount of shares each stockholder owned. Source: 1943 ADI Board Minutes. December 31, 1943 A. D. Henderson and his brother, G. B. Henderson, were listed as Directors in the 1943 annual report for Allied Products, Inc. Source: Allied Products, Inc Annual Report. January 13, 1944 The annual meeting of stockholders for Alexander Dawson Inc. was held at Colony Gardens, Beaufort, South Carolina. The minutes show that the bylaws were amended to provide that meetings of the stockholders could be held anywhere in continental United States. The Corporation accountant was noted as Mr. Adolph Manson, who prepared the 1943 balance sheet and the Profit and Loss statement. Source: 1944 ADI Board Minutes. January 9, 1945 On of the annual meeting of stockholders for Alexander Dawson Inc. was held at Colony Gardens, Beaufort, South Carolina. The minutes state that that the Chairman announced that he and the Secretary had acted during the past year as the Executive Committee of the Board of Directors. That they had declared dividends to be paid on the preferred and common stock and had attended all the Stockholders meetings of Allied Products Inc. and Avon Products Ltd. of Canada and voted the stock held by the Corporation. The Chairman authorized G. B. Henderson to vote all the Stock held by this Corporation at such stockholders meetings. Source: 1945 ADI Board Minutes. August 15, 1945 Japan surrendered, ending World War II. 1945 Alex left Lady's Island and moved back to New York City. December 31, 1945 A. D. Henderson and his brother, G. B. Henderson, were listed as Directors in the 1945 annual report for Avon Allied Products, Inc. Source: Avon Allied Products, Inc Annual Report. March 9, 1946 Douglas Henderson was born in New York City. December 31, 1946 A. D. Henderson and his brother, G. B. Henderson, were listed as Directors in the 1946 annual report for Avon Allied Products, Inc. Source: Avon Allied Products, Inc Annual Report. December 31, 1947 A. D. Henderson and his brother, G. B. Henderson, were listed as Directors in the 1947 annual report for Avon Allied Products, Inc. Source: Avon Allied Products, Inc Annual Report. December 31, 1948 A. D. Henderson and his brother, G. B. Henderson, were listed as Directors in the 1948 annual report for Avon Allied Products, Inc. Source: Avon Allied Products, Inc Annual Report. December 31, 1949 A. D. Henderson was listed as a Director, along with his brother, G. B. Henderson, in the 1949 Avon Allied Products, Inc., and Subsidiaries Annual Report. Source: Avon Annual Report, 1949. December 31, 1950 A. D. Henderson was listed as a Director, along with his brother, G. B. Henderson, in the 1950 Avon Products, Inc. (formerly Avon Allied Products, Inc.) Annual Report. Source: Avon Annual Report, 1950. December 31, 1951 A. D. Henderson was listed as a Director, along with his brother, G. B. Henderson, in the 1951 Avon Products, Inc. Annual Report. Source: Avon Annual Report, 1951. 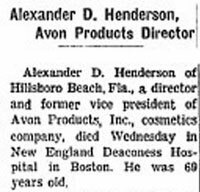 1951 At age 56, Mr. Henderson retired as vice president of Avon and moved to Hillsboro Beach, Broward County, Florida. He lived in a white two-story house on 1011 Hillsboro Mile (A1A) with an ocean view. Mr. Henderson contributed to the Henderson Clinic of Broward County for emotionally disturbed children in Fort Lauderdale, Florida. December 31, 1952 A. D. Henderson and his brother, G. B. Henderson, were listed as Directors in the 1952 annual report for Avon Products, Inc. Source: Avon Products, Inc., Annual Report. December 31, 1953 A. D. Henderson and his brother, G. B. Henderson, were listed as Directors in the 1953 annual report for Avon Products, Inc. Source: Avon Products, Inc., Annual Report. December 31, 1954 A. D. Henderson and his brother, G. B. Henderson, were listed as Directors in the 1954 annual report for Avon Products, Inc. Source: Avon Products, Inc., Annual Report. December 31, 1955 A. D. Henderson was listed as on the Board of Directors, along with his brother, G. B. Henderson, in the 1955 Annual Products, Inc. Report. Source: Avon Annual Report, 1955. 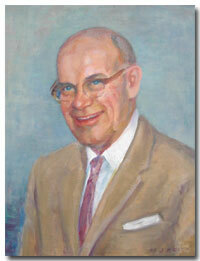 1956 Mr. Henderson was the Founder and administrator of the Hillsboro Country Day School in Pompano Beach, Florida. He devoted his vast energies and considerable financial resources to the operation of this school. He acquired the Avon by the Sea apartments across the street from the Hillsboro Country Day School. Source: ProQuest Historical Newspapers, New York times, pg. 7. December 31, 1957 A. D. Henderson and his brother, G. B. Henderson, were listed as Directors in the 1957 annual report for Avon Products, Inc. Source: Avon Products, Inc., Annual Report. 1958-1964 Mr. Henderson was elected Mayor of Hillsboro Beach, Florida for six years. December 31, 1958 A. D. Henderson and his brother, G. B. Henderson, were listed as a Directors, in the 1958 Annual Report. Source: Avon Annual Report, 1958. 1959 The A. D. Henderson Foundation was founded in 1959 by Alexander D. Henderson and his wife, Lucy E. Henderson. The Foundation is dedicated to provide an opportunity for all children to succeed, with a special interest in promoting literacy for children and families. Source: A. D. Henderson Foundation Web site. December 31, 1959 A. D. Henderson and his brother, G. B. Henderson were listed as a Directors, in the 1959 Annual Report. Source: Avon Annual Report, 1959. December 31, 1960 A. D. Henderson was listed as Director, along with his brother G. B. Henderson, in the 1960 Annual Report. Source: Avon Annual Report, 1960. 1961 Alexander and Lucy Henderson made significant contributions needed to start the Saint Andrew's School an Episcopal School for Boys in Boca Raton, Florida. Mr. Henderson was also a Trustee at the St. Andrew's School. Founded by people of Scottish heritage, Saint Andrew's School was named for the patron saint of Scotland, Saint Andrew. December 6, 1961 Mr. Henderson wrote his Will in the state of New York. He appointed his wife, Lucy E. Henderson as the executor of the Will. At age 69, Alexander D. Henderson Jr. died at the New England Deaconess Hospital in Boston, Massachusetts of a blood disease. The Sun Sentinel newspaper of Pompano Beach, Florida and the New York Times covered his death. The Kraeer Funeral Home in Pompano Beach was in charge of funeral arrangements. The service was held at St. Martins-in-the Field Episcopal Church in Pompano Beach at 10 a.m., Monday, July 13th. The family requested that contributions be made to the Debbie-Rand Memorial Service League, Inc. in Boca Raton, Florida. Source: Sun-Sentinel Newspaper, July 10, 1964. July 10, 1964 New York Times ran an article titled: Alexander D. Henderson, Avon Products Director. It said "Alexander D. Henderson of Hillsboro Beach, Fla., a director and former vice president of Avon Products, inc., cosmetics company, died Wednesday in New England Deaconess Hospital in Boston. He was 69 years old." Source: ProQuest Historical Newspapers, The New York Times pg. 29. July 1964 Henderson's body was brought back from the Waterman Funeral Home in Boston to the Kraeer Funeral Home in Pompano Beach, Florida. He was interned at the Forest Lawn Memorial Gardens Central in Fort Lauderdale in the Mausoleum Unit 1, Section No. 67, South. Source: Forest Lawn Memorial office, 954-581-9033. The Hillsboro Town Commission held a reorganizational meeting to appoint a successor as mayor and to name someone to fill out Henderson's unexpired commission term. August, 1964 The Bagpiper of Saint Andrew's School paid tribute to him in their newspaper and in a "Henderson Memorial Resolution," which recognized his as a "good citizen, a man of outstandingly successful in his career, a devoted public servant, a generous benefactor, and most important of all, a staunch and loyal friend." September 23, 1964 Avon Products inc., announced it had filed with the Securities and Exchange Commission a proposal for the sale of 720,000 shares of capital stock by the estate of Alexander D. Henderson, director of the cosmetics company. Source: ProQuest Historical Newspapers The New York Times pg. 76. 1967 His brother, Girard Henderson, opened the Alexander Dawson School (a.k.a. Colorado Junior Republic) at 4801 N. 107th Street Lafayette. Colorado. Dec. 1, 1968 The dedication of the Alexander D Henderson University School and special convocation was held in Boca Raton, Florida. The school was made possible by a gift ($1,350,000) to the State and Florida Atlantic University from his wife, Lucy E. Henderson. Lucy received an honorary degree of Doctor of Humane Letters. Countless generations of school children will benefit from this generosity. His wife, Mrs. Lucy Henderson Edmondson, established the Alexander D. Henderson Memorial Scholarship. In addition, Henderson Hall is named for Mr. Henderson, and the Chapel of Saint Andrew the Apostle is a memorial to Mr. Henderson. Source: Saint Andrew’s School 2001-2002 Endowment Fund Contributions. April 18, 1969 The E. B. R. Corporation bought the property of the Hillsboro Country Day School and Avon Apartments. Lucy E. Henderson sold the property for $975,000. Source: ProQuest Historical Newspapers, New York times, pg. 7. July 1, 1991 The Alexander D. Henderson University School was legislated school district number 72, developmental research school, effective July 1, 1991. 2001 The 2001 School Recognition Report said that the Alexander D. Henderson University School (ADHUS) is a developmental research school located on the campus of Florida Atlantic University (FAU) in Boca Raton, Florida. The school serves students in elementary-middle school (K-8). The student population reflects the demographics of the state population and is pooled from Broward and Palm Beach counties. December 15, 2004 The Alexander D. Henderson University School (part of Florida Atlantic University) held a celebration and hoisted the Blue Ribbon School flag in recognition of its prestigious achievement of being named one of 239 Blue Ribbon Schools in the United States. The event was held on Friday, December 17 at 8 a.m. in front of the A.D. Henderson University School, FAU's Boca Raton campus, 777 Glades Road. "It was a team effort that enabled us to meet the challenge and enjoy the achievement of being a Blue Ribbon School," said Dr. Marla Lee, principal of the Henderson School. "Raising the bar and reaching new goals, that is what this is about." Alexander D. Henderson was one of five Florida public schools presented with the National Blue Ribbon School award. Source: FAU, BOCA RATON, FL; http://www.adhus.fau.edu. May 2015 The Sun Sentinel reports in an article entitled "Henderson has magic that too many schools don't." , that the A.D. Henderson University School in Boca Raton has asked the state for $41.5 million to rebuild the school's facilities. Click here to see a Wikipedia article about Alexander D. Henderson Jr.
Find A Grave Website: Alexander D. Henderson Jr.